This is the fifth equine layers painting in this series. Working with shapes to capture the essence of the horse. The first layer is a watercolor under-painting followed by layers of acrylic gel and acrylic paint. 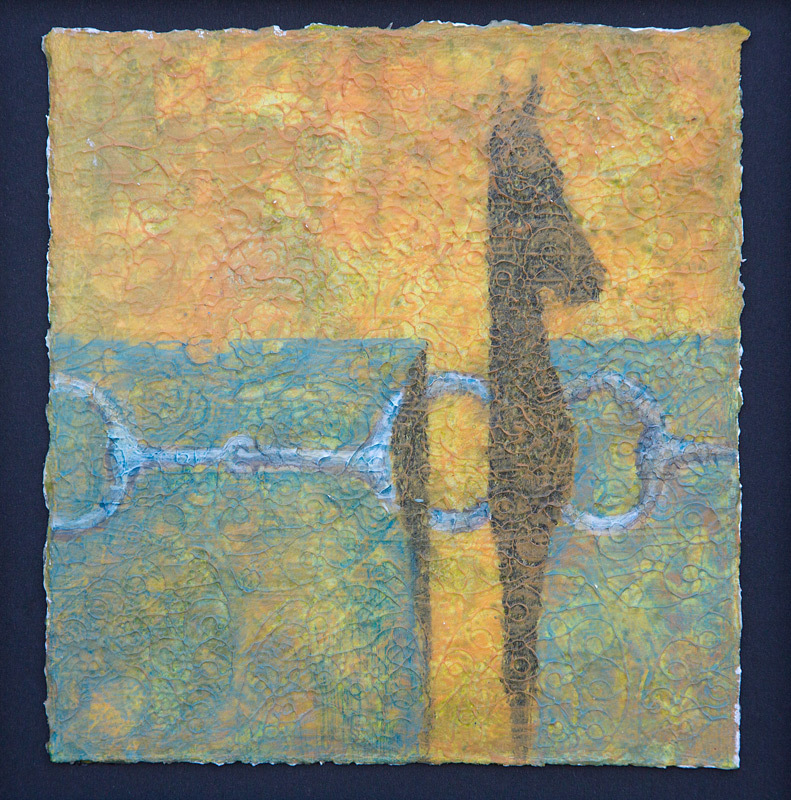 The divided horse and the superimposed bit image represent the tension between the controlled and the free.